You might want to offer your users a chance to re-launch a tutorial or recall an announcement you've published to show just once. Appcues Permalinks will allow guests to re-launch flows with one click. 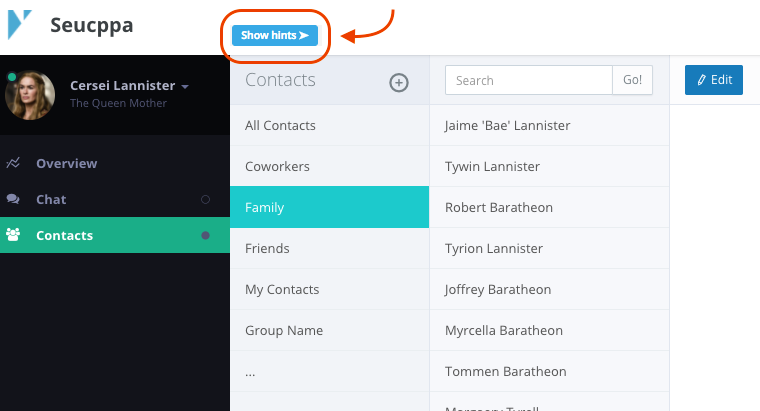 If your platform remembers logged-in statuses, you can share permalinks in email or through chat to let your users retrieve flows they may have initially skipped out on. Every flow has its own permalink. Learn how to find or create your flow's permalink here. Every flow comes with an embeddable button code that will re-launch that specific flow when clicked. Clicking the 'Show hints' button will override any targeting rules you've set up, so as long as the elements you've attached your hotspots or tooltips to are visible on the page, the 'Show hints' button will display them all. This will allow your users to recall feature announcements, offers, or updates. Our in-app widget will store slideouts and modals. We use our widget in our Appcues dashboard and have it set to look like an inbox icon, but you can use any image file that makes the most sense for your platform, like a question mark or alarm icon. Learn more about installing and using our in-app widget here.